This is a shot in the dark, and most likely just a 1st Generation Nova LFS parked, but searching 77th using Google Maps, I came across an unusual bus parked along the fence(highlighted with arrows). Even at max zoom, it's grainy, but I can't tell if it might be a Nova Smart Bus or not. Most likely isn't, but the graininess of the image and how it looks different than the other Novas parked in the shot make it possible. Image is copyrighted 2014 Google. No, it's a first gen Nova. I've been going past there consistently as of lately but no sign of the new Novas. It's really making me wonder about the info of them is really bushleagued but I'll keep the rest of my opinion to myself. Look outside your window. Think about one thing that's missing from that shot that would be there if it was taken this year. I finally got the "look outside your window," and there isn't 3 feet of snow. I also don't know if the Streetview is from about the same time, but around there is a conventional Nova with a WCIU advertisement. Also, all the NABIs are still in the satellite shot, even though the report is that 122 are now gone. Also, as the pictures from 14th St. and 7th Ave. illustrated yesterday, a new one would have the high vent on the back. Garmon is correct, and he's been out there more recently. I seriously doubt it lol considering them green trees and absolutely no snow on the ground whatsoever lol. Our standard engine electric cooling system is fully integrated and positioned on the rooftop so dirt and debris cannot get in. I thought about that, but I was looking at the copyright for the Google Map pic and thought maybe it was a new photo taken. I really didn't think about the missing snow when I did the screen print. Got a smartphone? Can you take and upload a pic??? The general photo I linked up here shows the rear HVAC unit. 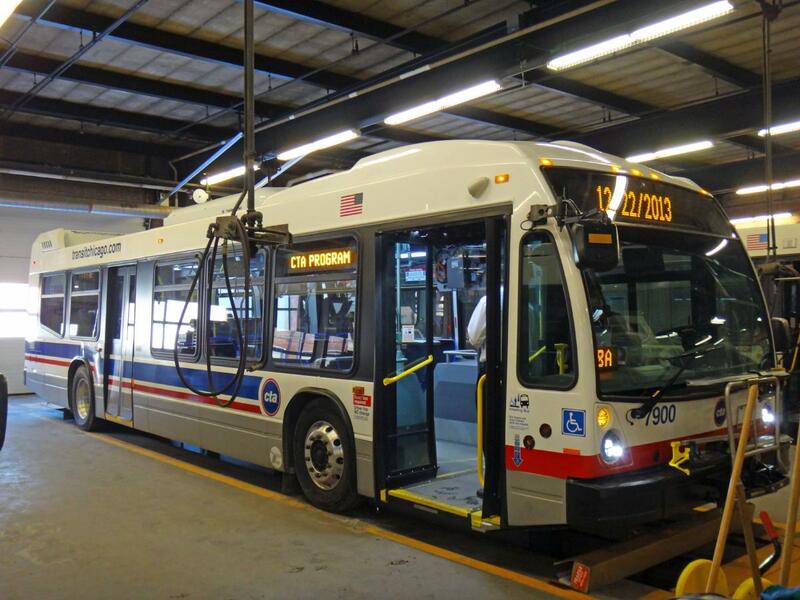 I just want to see one of these 7900's that are at South Shops in CTA livery. 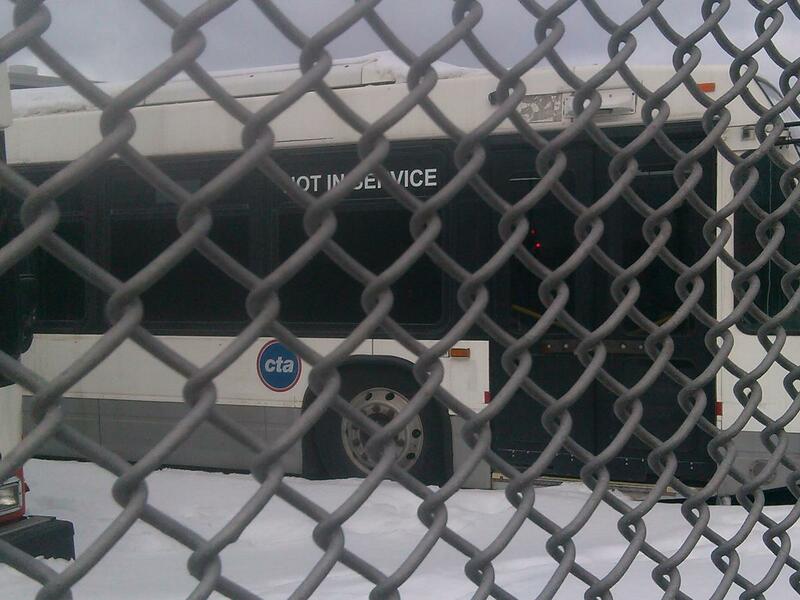 At least one bus was reported on CTA property 2/3/14, which was 11 days ago. I figured someone with a smartphone would've gotten a first pic in. If you're worried about CTA personnel noticing, turn off the flash and mute the shutter sound(I have the Samsung GS4, and can mute the shutter so I can take photos super-secretly). My previous phone(LG Optimus L9) had this feature, so I think most smartphones do. South shops 7 works for cta. He can't take photos. Everyone else by Chicago garage or 77th shops can take photos. If it peeks its nose near the property line. But you are right, the various posters here should quit asking. Understandable, then. It's not worth your job to snap a pic and upload it. I would take pics if the bus was in a better location. Not trying to sound anti-South Side here, but I have friends that live on the South Side and they say that there are many pockets of areas that are not so great to hang around in for any reason(one in the 200 block of S. Central and one in Hyde Park). And without a car and being on foot makes it more difficult to get photos of CTA equipment safely. I would even get photos of scrapped and soon-to-be scrapped buses if the junkyard was in a more safer location to be on foot in. 95th/Ewing(scrapyard) and 210 W. 79th St. are pretty far south. I don't know the general safeness of these areas to be walking around in just to attempt to snap photos. Got a smartphone? Can you take and upload a pic??? The general photo I linked up here shows the rear HVAC unit. 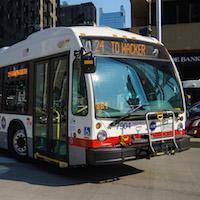 I just want to see one of these 7900's that are at South Shops in CTA livery. 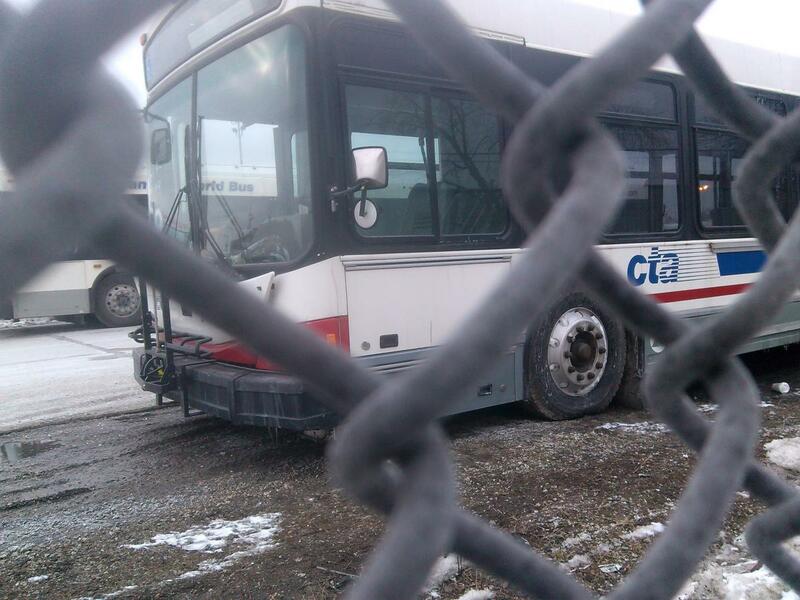 At least one bus was reported on CTA property 2/3/14, which was 11 days ago. I figured someone with a smartphone would've gotten a first pic in. If you're worried about CTA personnel noticing, turn off the flash and mute the shutter sound(I have the Samsung GS4, and can mute the shutter so I can take photos super-secretly). My previous phone(LG Optimus L9) had this feature, so I think most smartphones do. LOL!! Of course someone could take a picture and send it to someone here that doesn't work at CTA. And they could upload it. The fact that some members verified spotting at least two here means they'll debut it soon after doing whatever initial checks they need to do once they got here. And yeah the said members are employees of CTA so this is one case where there will be no photographic evidence since we don't want anyone to get fired. So how about everyone just be patient. The first Smart Buses arrival is finally here at least, so let's at least be happy about that. We'll see them soon enough. Not really. The offense is taking the picture on authority property, and I'm sure the employee could be traced. On the other hand, I mentioned for the benefit of nonemployees the bus being near the property line, given the special trespass law of which the CTA can take advantage, despite someone once claiming here that anyone could walk in. So say for an example, I luckily see the new Novas and I snap some photos of them. Would that be a big deal??? So long as you don't trespass, no. We have three at south shops. press release should be soon. Not really. The offense is taking the picture on authority property, and I'm sure the employee could be traced. On the other hand, I mentioned for the benefit of nonemployees the bus being near the property line, given the special trespass law of which the CTA can take advantage, despite someone once claiming here that anyone could walk in. Of course no pictures in south shops, but they can't trace something in the lot. Interesting though a third bus!! Then we may see these in service soon, but the #4300's didn't go into service until there was about 10 of them. We are definitely past the prototype stage. Hopefully someone can snap some pics at 77th tomorrow or they can hopefully get some at Chicago. I'm taking a guesstimation but ill think they will have a press release on Tuesday due to the mild weather. Nova WB-1 is former #6402. The NABIs, when delivered, usually had some sort of plastic film over them, sort of similar to what new cars had on them while being unloaded onto the dealer's lot instead of into the showroom. 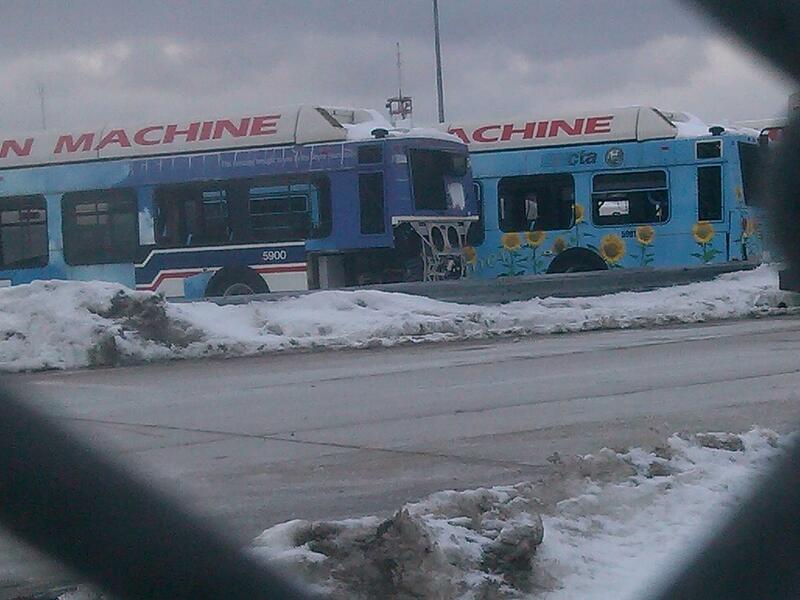 Also, for some reason, the CTA logos were covered. 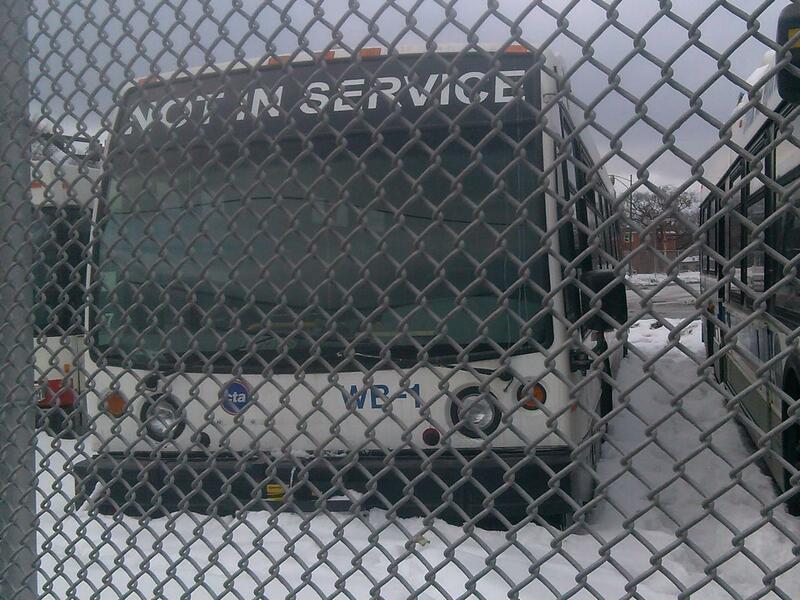 I suppose that with all the road salt and slush, Nova wants to deliver the bus with the paint job still intact.